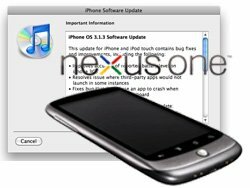 Two smartphone giants – iPhone and Nexus One – got a software update yesterday. 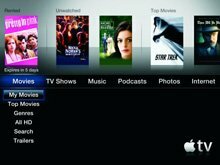 Apple released iPhone OS 3.1.3 for iPhone and iPod touch that improves accuracy of reported battery level on iPhone 3GS, resolves issue where third-party apps would not launch in some instantes and fixes some other bugs. Google added multitouch (pinch-to-zoom), on-board Google Goggles and new version of Google Maps to the Nexus One. Next-Gen iPhone Will Be Modest Upgrade? Apple’s next-gen iPhone could be unchanged in physical design but include changes relating to speed, memory and the camera. At least that’s according an unnamed employee at Apple’s manufacturing partner Foxconn, who claims to have used prototypes of the handset.